Ann Isabel Jackson, age 92, a life-long resident of Maxton, died Friday, March 22, 2019 at Scottish Pines Rehabilitation and Nursing Center. 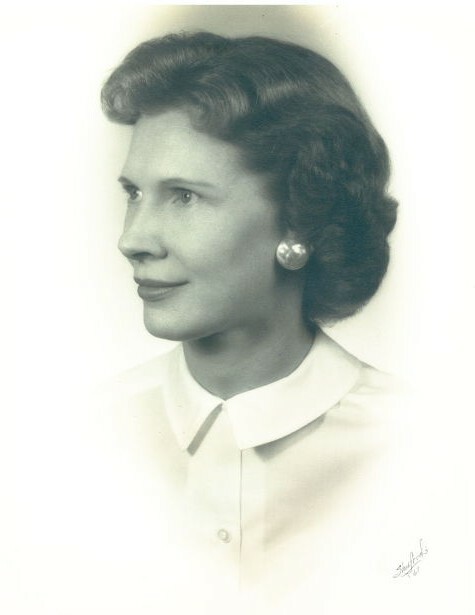 Born June 3, 1926 in Hoke County, she was a graduate of Wagram High School and Flora MacDonald College in Red Springs. Upon graduation, she began a life-long career in banking, beginning with The State Bank in 1944 and continuing with Wachovia and Wells Fargo as a Customer Service Representative until her retirement. She was a member of the First Presbyterian Church of Maxton where she formerly sang in the choir. She was predeceased by her parents, Sally Esther Thompson Jackson and Murray W. Jackson; brothers, Calvin and Gerald and a sister, Frances Austin. She is survived by her sister, Hazel Morgan of Ft. Lauderdale, FL; brother-in-law, Noel D. “Budd” Austin, Colonel USAF Retired of Colorado Springs, CO; nieces, Jackie Austin of Colorado Springs, CO, Denise Sandlin of Windsor, CO, Sherry Jones (Mal) of Ft. Lauderdale, FL and nephew, Allen Morgan of Decatur , GA, and a special friend, Jane James of Maxton. Graveside services will be conducted by The Rev. Dr. Robert Dendy 2:00 p.m. on Saturday, March 30, 2019 at the Oak Grove Cemetery, Maxton, NC. Isabel requested for memorial donations to be given in her memory to the First Presbyterian Church, P.O. Box 5, Maxton, NC 28364.